In stock Only 16 left! Bearings designed for skates and skate boards from the best materials to give the smoothes and quiet ride. Abec 3 is strong and ideal for hockey and aggressive, and suitable for all skating disciplines. Abec 5 has increased performance and speed. Suitable for speed, fitness, and hockey. 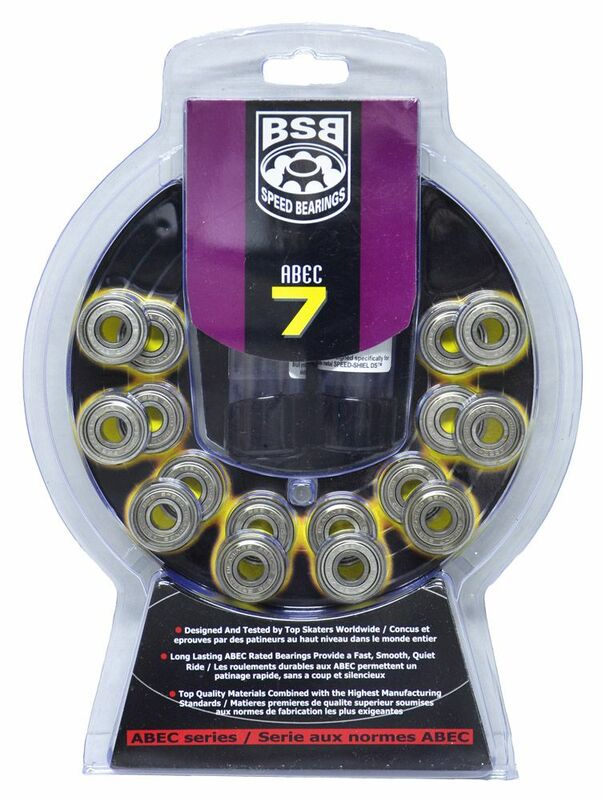 Abec 7 has the best combination of quality and tolerances with only a single shield. Abec 9 Designed for speed skaters, with oil and open on the inside. I bought these to use in an Salomon FSK 80/76 setup. These bearings are surprsingly well made. Bearings are designed to dismantle with very convenient circlip arrangement. And comes with tubes of grease and instructions. I would imagine these bearings could last many many miles. I have spent some time doing freestyle and had the skates hard on the wheel edge many times. Only had one issue with the front outside bearing which started to give a loud rubbing sound from time to time. I can recommend these bearings. One of the better bearings i ever skate !